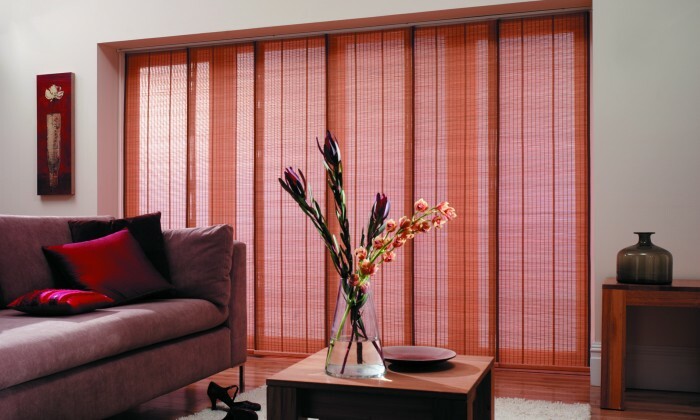 Panel Glide Blinds are a modern take on the traditional vertical blind, and complement a contemporary, minimalist style. 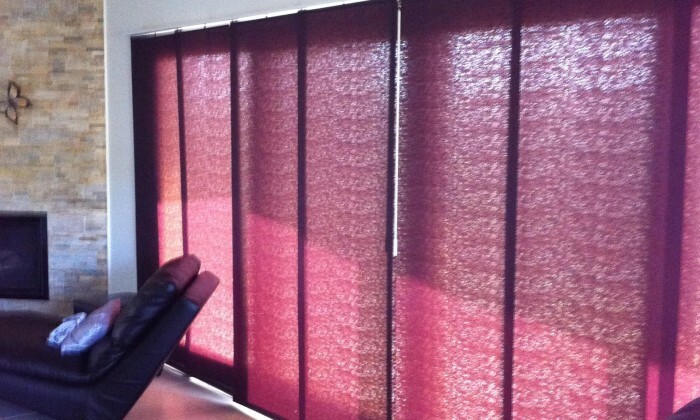 Working on a multiple tracking system, the panels simply slide across doors or windows and stack neatly to one side, providing a clutter free window treatment option with essential privacy and sun protection benefits. 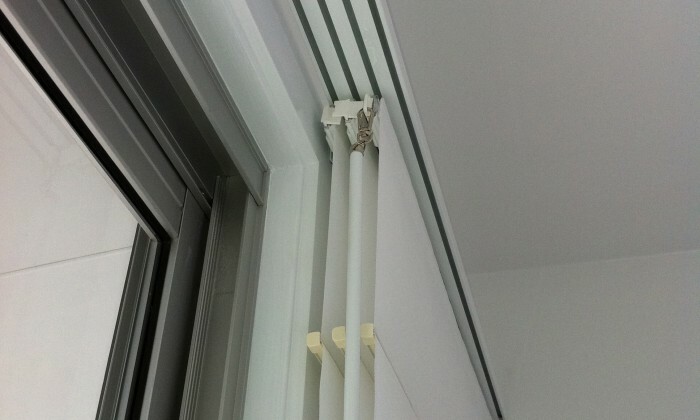 Our panel glide systems are created from flat fabric panels which are attached to a simple head rail system using roller mounted carriers. 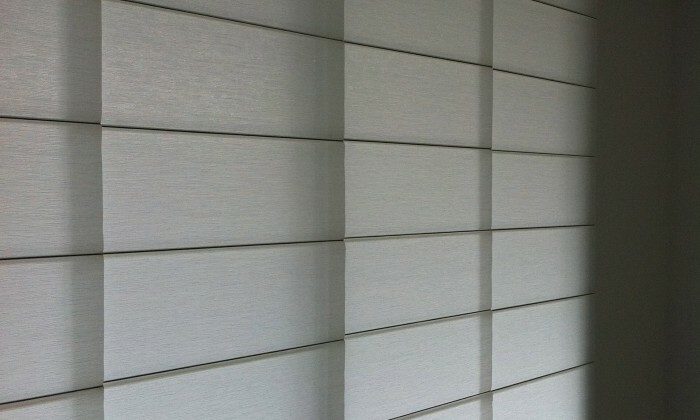 The lightweight panels are drawn sideways using a wand operating system. 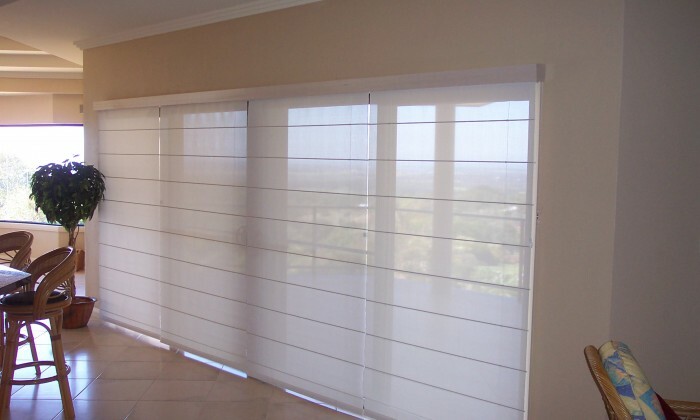 Starting from $540 – Depending on fabric, accessory options and control options. 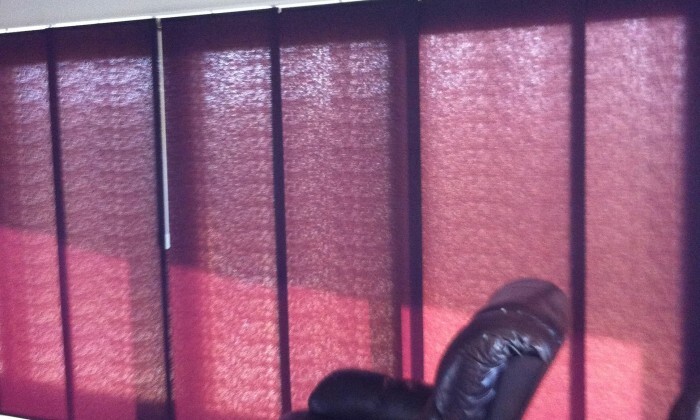 Based on size 1500mm x 1200mm kitchen/bedroom window. 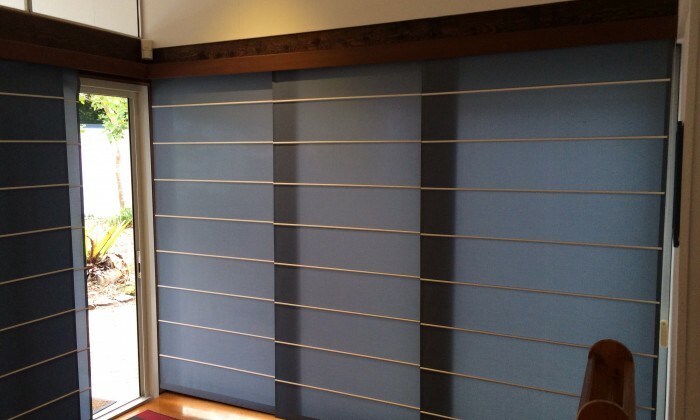 Panel Glides are great as a room divider. 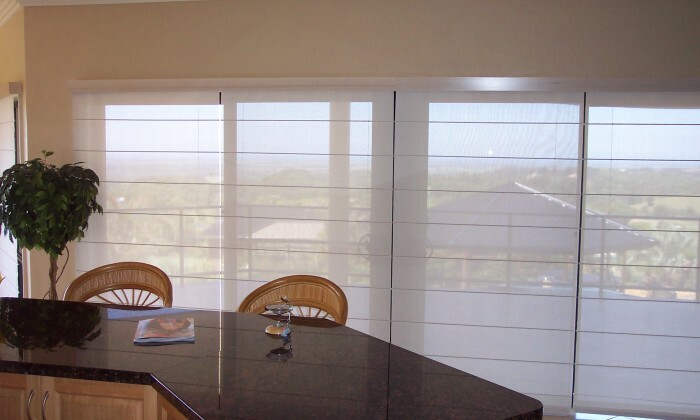 Panel Glide Blinds work well over large windows, sliding doors and bi-fold doors, and can make a significant visual statement to a home’s décor. 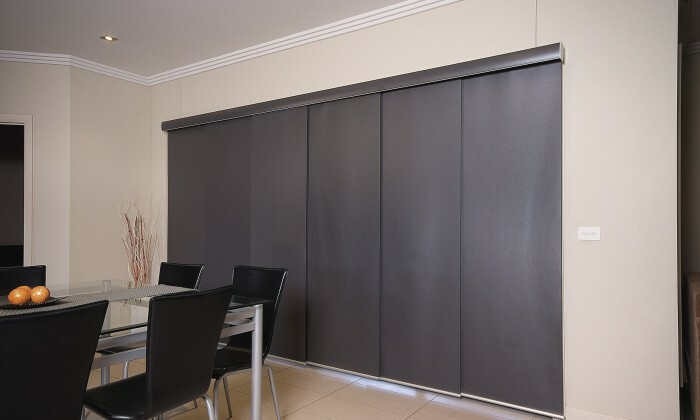 The panels also combine well with roman blinds, and being light and easy to use, they are a good option for people who want fast access to doorways and views. 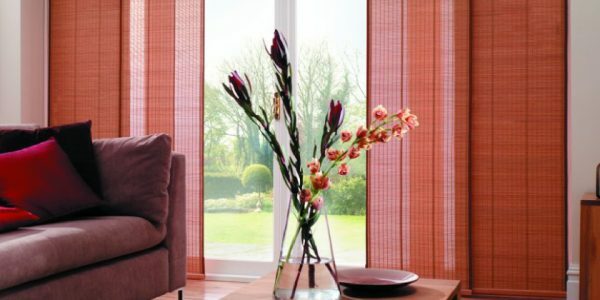 Our Panel Glide Blinds come in a variety of fabrics, prints and colours, with sun control options ranging from translucent to 100 per cent sun block-out. 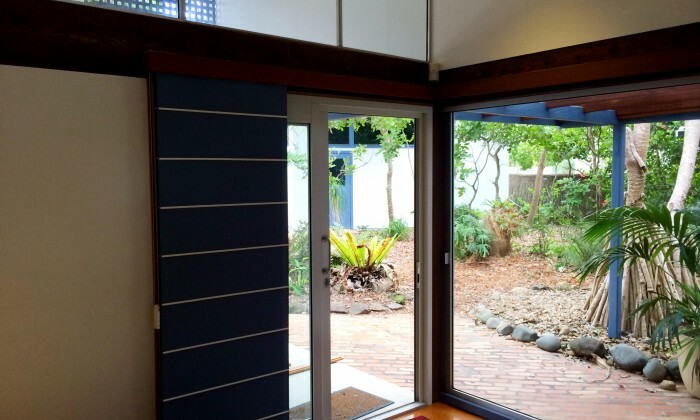 Panels can be either centre or side opening with left and right hand stacking options. 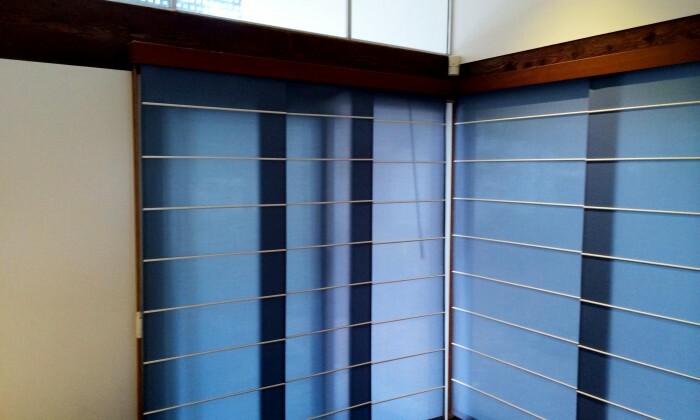 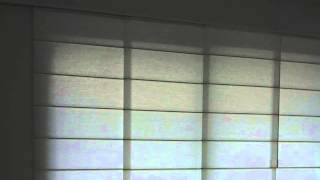 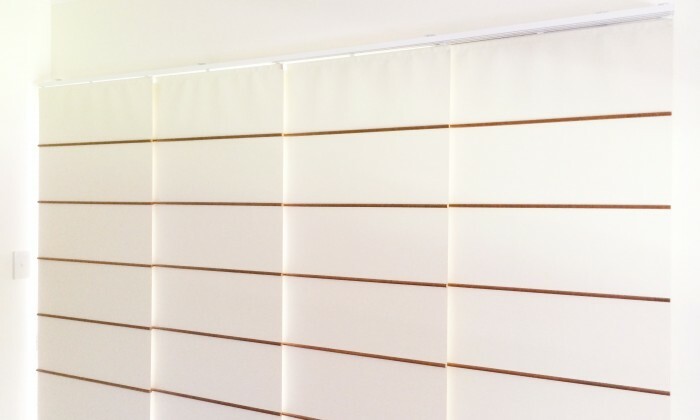 If your Panel Glide Blind becomes damaged, they can be easily and cheaply replaced, which also makes them a good alternative for people who like to update their home regularly.